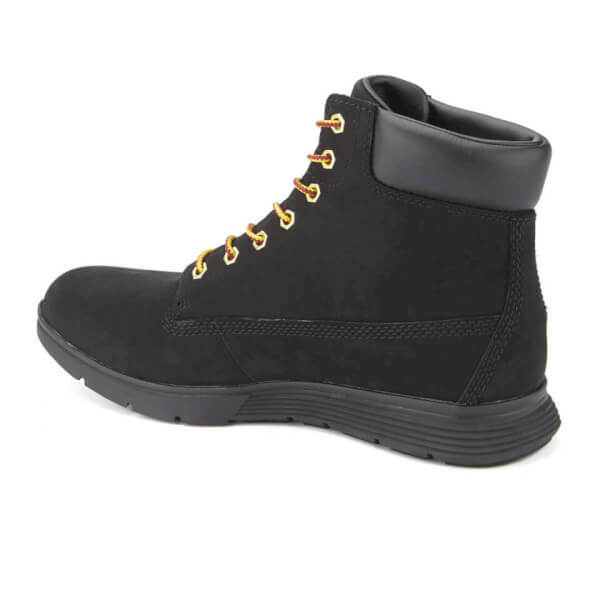 Men’s black ‘Killington’ boots from Timberland. 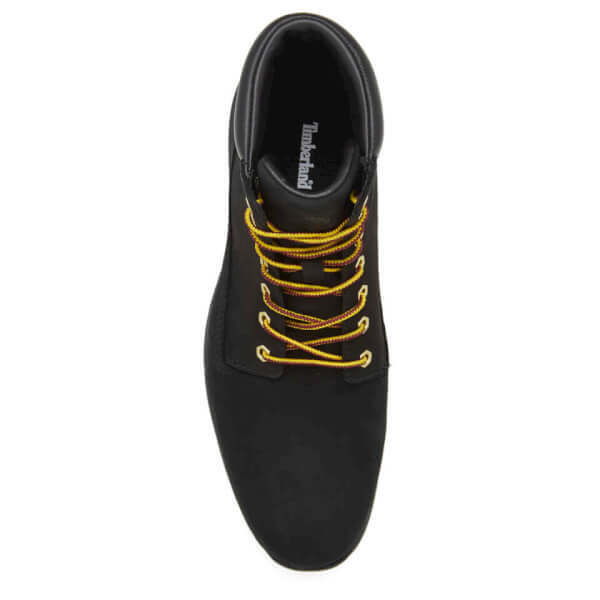 Crafted with durable Nubuck uppers for comfort, the 6 inch boots comprise a lace up fastening with distinctive, eco-friendly laces and gold tone eyelets. Lined with comfortable, breathable and eco-friendly PET, the boots feature an OrthoLite® PU footbed, utilising recycled rubber and providing ultimate comfort and foot support. 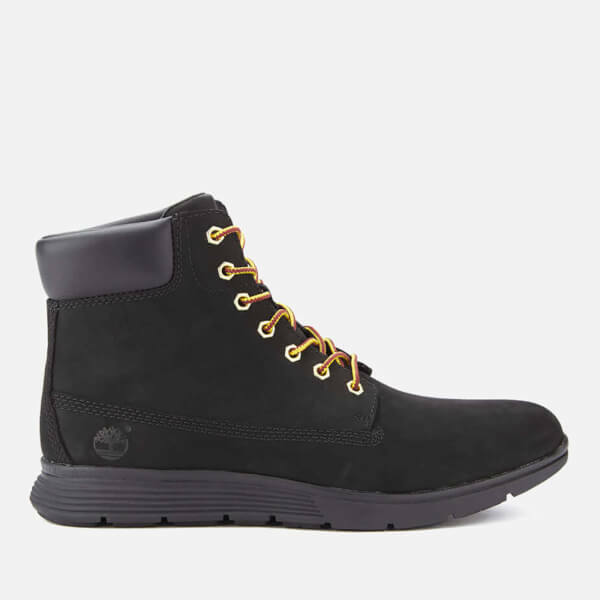 The Killington boots make use of Timberland’s SensorFlex™ technology, a triple layer suspension system that instantly adapts to uneven terrain, offering a smooth and stable walk. 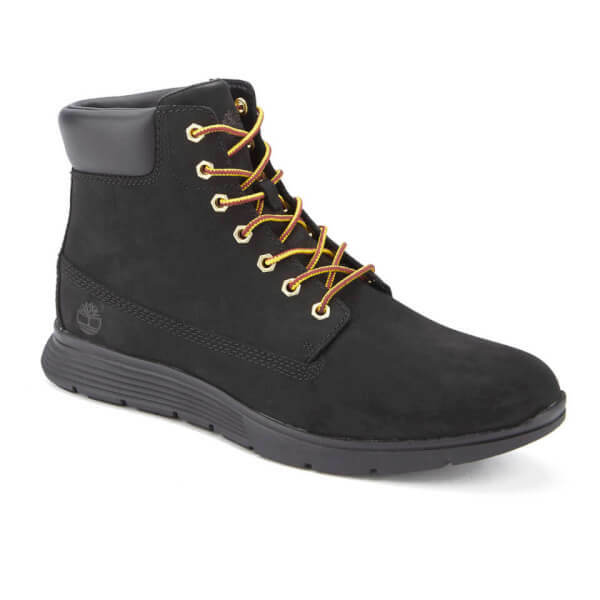 The ankle boots are complete with a padded ankle collar and tongue and Timberland’s signature branding embroidered to the heel and tongue. Upper: Nubuck. Laces and Lining: Recycled PET. 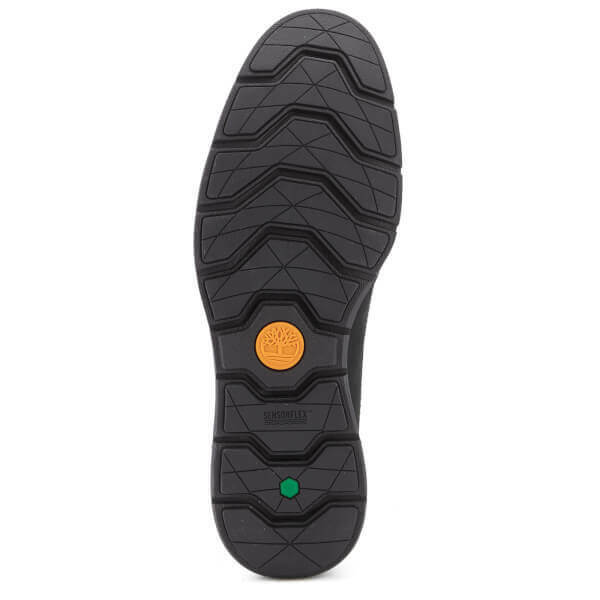 Footbed: OrthoLite® PU.